Author: Kathleen K. Lucchesi leads the Employment Practice Group at Lincoln Derr PLLC in Charlotte, North Carolina. 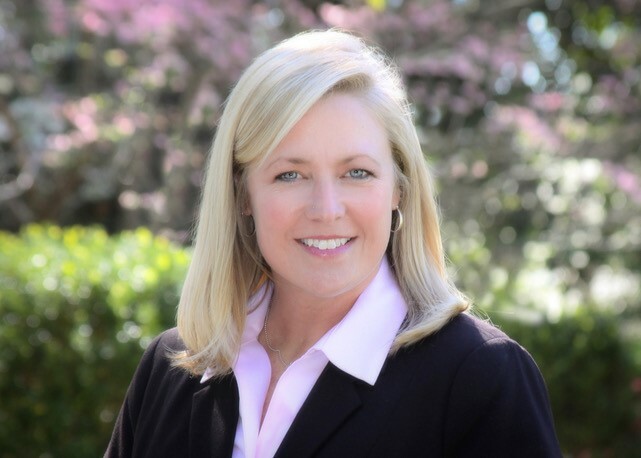 Kathi is a trial lawyer who also regularly advises employers, large and small, regarding all types of employment issues both in and out of the workplace. David Peim would not be the face you would imagine when picturing a diversity champion in the legal profession. To look at him, the 60-year California transplant does not seem to fit into any protected class, but appearances, as they say, can be deceiving. This makes Peim living proof of one bedrock principle of diversity and inclusion: do not judge people based on external factors. For the past two years, Peim has been not so quietly helping his employer, Honda North America, lead the charge for diversity and inclusion in the outside counsel they retain. Peim’s story started in Brooklyn, New York where he grew up in a poor and ethnically diverse neighborhood. His sensitivity to diversity may have started when, as a Caucasian student, he was subject to the busing requirements mandated by the 1954 ruling in Brown v. Board of Education, which ended official segregation in public schools. Peim enjoyed school very much, particularly art, math and science. After getting an undergraduate degree in biology/biochemistry and a PhD in molecular biology, he decided to go to law school. 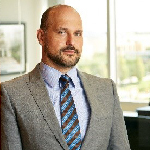 Peim started his legal career at a Los Angeles civil litigation firm where his experience included products liability, class action work, intellectual property, and labor and employment. In 2003, he decided to move in-house and joined the Honda North America’s legal team. About six years ago, Peim was promoted to Deputy General Counsel and assigned to American Honda Finance Company, where he works with a diverse staff and clients. Honda North America’s senior management’s commitment to diversity and inclusion stems from Honda’s overall diversity directive handed down by the CEO and President of American Honda Motor Co. and the desire to make Honda a company that society wants to exist. The legal division has championed this commitment and recently won an award from the Association of Corporate Council for its diversity and inclusion activities within the legal department. The legal management team, however, recognized that it could do more to further inclusion and diversity particularly with the outside counsel that it hired. Peim was tasked with leading the Law Division’s efforts to enhance the diversity of Honda’s outside counsel. He immediately formed a committee consisting of attorneys and staff from Honda’s legal offices around the country to work together on this critical priority. Peim says the Committee has been guided by several fundamental principles beyond the concept that it is the right thing to do. Diversity and inclusion is consistent with Honda’s philosophy and values. Therefore, it’s important for Honda’s outside counsel to reflect Honda’s customers and communities. A policy and practice of diversity and inclusion is critical to the Company’s success and will provide the best results for Honda. Armed with research, Peim and the Diversity and Inclusion committee developed a mission statement as well as policies and procedures. In addition, a “Legal Rooney Rule” was created at Honda that resembles the rule implemented in the NFL. Certainly, it is nuanced and not easily summed up in a neat sentence, but simply: For legal matters under a certain dollar amount, Honda’s in-house attorney must consider a diverse outside legal candidate. The word “consider” is used broadly to include talking to, communicating with or general consideration – Peim says there needs to be some reasonable effort to identify and consider a diverse candidate. The attorney’s supervisor acts as the gatekeeper in the approval process. Honda’s initiative is working. Last year, Honda North America added eleven new firms/attorneys in the finance area to its pool of outside counsel. Of those new firms, nine were women and minority owned firms and one was a minority woman at majority firm. Most importantly, Peim believes that the Committee’s work has created a structure that is building a lasting foundation for inclusion and diversity to be an even deeper part of the Law Division at Honda. Stern believes Peim’s personal commitment to diversity and inclusion will be his legacy: “David and Honda ‘walk the talk’ and with David, it’s so much more than words – it’s actions. At first glance, David Peim might not look like a diversity champion, but his diversity legacy is secure. 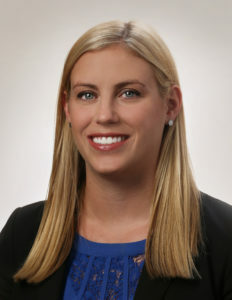 Author: Jacklyn Fetbroyt is a founding member of Philadelphia law firm Kang Haggerty & Fetbroyt LLC and is currently the co-chair of the Financial Services Litigation Practice Area Committee. Among other things, KHF represents banks and other financial institutions in transactional work, work-out, creditors rights, and compliance issues. Applying Market Share Liability to the Opioid Crisis? 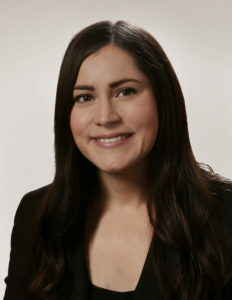 Author: Alexandra L. Preece is an Associate with the law firm of Wilson Turner Kosmo LLP. She is a litigation attorney who defends manufacturers and corporate entities in product liability, class action, personal injury, and warranty matters. 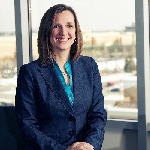 Author: Beth A. Wendle is an Associate with the law firm of Wilson Turner Kosmo LLP. She represents automotive manufacturers in breach of warranty claims and fraud claims and represents manufacturers, distributors and retailers in product liability and personal injury matters. Wilson Turner Kosmo LLP is the largest certified women-owned law firm in San Diego, and one of the largest in California. Wilson Turner Kosmo LLP is a member of NAMWOLF and its Product Liability, Employment, Trials, and Restaurant, Retail & Hospitality PACS. Market share liability—a controversial method of awarding damages created by the California Supreme Court in Sindell v. Abbott Laboratories—has only been successfully applied in limited situations, most notably in cases involving diethylstilbesterol (“DES”), a drug previously used to prevent miscarriages but later found to cause cancerous growths in daughters exposed to DES prior to birth. Market share liability allows a plaintiff to establish a cause of action against a group of manufacturers rather than requiring the plaintiff to identify the specific manufacturer of the product consumed by the plaintiff that caused the alleged harm. For market share liability to be applied to a claim, all manufacturers in the action must have produced the product from an identical formula and a substantial share of the manufacturers in the market must be a part of the action. The justification for this doctrine is similar to that advanced by strict liability—product manufacturers are better able to bear the cost of injury resulting from defective product manufacturing. Courts have declined to apply market share liability to cases involving lead paint, asbestos, and handguns, among other products. The current opioid epidemic and the pending cases filed against opioid manufacturers may, however, lead the plaintiffs in those actions to pursue the application of this doctrine to their cases in an effort to hold opioid manufacturers liable for damages equal to their share of the opioid market. Such a pursuit faces an uphill battle, however, as courts are generally disinclined to apply market share liability and plaintiffs may not be able to establish the factors for applying the doctrine to their cases. The opioid epidemic began in the late 1990s when pharmaceutical companies reassured the medical community that patients would not become addicted to opioid pain relievers. Healthcare providers began prescribing opioid pain relievers at greater rates, resulting in widespread misuse and an increase in opioid-involved deaths. The epidemic ultimately resulted in over 40 lawsuits being filed by cities, counties, and Native American tribes against various drug manufacturers, drug distributors, physicians, and pharmacies alleging improper marketing and distribution of various prescription opiate medications. The United States Judicial Panel on Multidistrict Litigation centralized these lawsuits in the Northern District of Ohio before Judge Polster. According to the order establishing the MDL, the lawsuits contain common questions of fact including the plaintiffs’ allegations that (1) manufacturers of prescription opioid medications overstated the benefits and downplayed the risks of the use of their opioids and aggressively marketed these drugs to physicians, and/or (2) distributors failed to monitor, detect, investigate, refuse and report suspicious orders of prescription opioids. With settlement negotiations already moving forward in the MDL, the parties may be looking towards creative resolutions to this complicated issue, including apportionment of damages based on market share liability. However, the uniqueness of the MDL poses some problems. First, unlike in Sindell, the defendants in the opioid lawsuits include not only manufacturers of the drugs but also distributors, pharmacies, and physicians. Unlike most product liability lawsuits where plaintiffs simply allege a defective product caused them harm, plaintiffs in the opioid lawsuits are asserting the drug manufacturers deceptively marketed opioids and downplayed additional risks; the drug distributors sold large quantities of opioids and failed to monitor and report suspicious opioid orders; and the physicians promoted opioids in exchange for profit from the drug manufacturers. Apportionment of fault is therefore difficult given the varying claims against the defendants. The parties would likely have to agree on the degree of fault for each type of defendant (manufacturers, distributers, pharmacies, or physicians) and then apportion liability based on their market share. Second, assuming the cases were solely against the drug manufacturers, market share liability requires the products to be fungible, i.e., they must be interchangeable or of the same composition. If the drugs produced by the manufacturing defendants contained different chemical formulations, market share liability may need to be creatively utilized or expanded in order for it to be applied to these claims. Furthermore, the opioid epidemic and resulting lawsuits center around several types of opioid pain relievers, both generic and name-brand, including oxycodone, hydrocodone, and fentanyl. Consequently, application of market share liability to these claims would involve determining the market share of each manufacturing defendant for multiple types of opioid pain relievers. While the application of market share liability to these claims seems unlikely, one thing is clear—litigating these claims will be no easy feat. The complexity of this litigation poses new and interesting legal challenges that we will continue tracking as they develop. Stay tuned. Sindell v. Abbott Laboratories, 26 Cal. 3d 588, 593-594 (1980). Santiago v. Sherwin-Williams Co., 782 F.Supp. 186, 192-195 (1992). Sholtis v. American Cyanamid Co., 568 A.2d 1196, 1204-1205 (N.J. 1989). Hamilton v. Beretta U.S.A. Corp., 750 N.E.2d 1055, 1067-1068 (N.Y. 2001). What is the U.S. Opioid Epidemic? https://www.hhs.gov/opioids/about-the-epidemic/index.html (last viewed July 16, 2018). Id. ; Overdoes Deaths Involving Opioids, by Type of Opioid, United States, 2000-2016, available at https://www.cdc.gov/drugoverdose/data/index.html (last viewed July 16, 2018). Transfer Order at Schedule A, In re: National Prescription Opiate Litigation, 1:17-md-02804-DAP (2017) (MDL No. 2804), available at http://www.ohnd.uscourts.gov/sites/ohnd/files/2804TransferOrder.pdf. National Institute on Drug Abuse – Opioids, available at https://www.drugabuse.gov/drugs-abuse/opioids. Author: Moheeb H. Murray leads the insurance coverage practice team at Bush Seyferth & Paige PLLC in Troy, MI. Author: Stephanie A. Douglas leads the class actions, critical motions, and appeals practice group for Bush Seyferth & Paige PLLC. Author: Susan M. McKeever is a senior associate at Bush Seyferth & Paige PLLC and focuses her practice on class action and appellate litigation. Insurance companies have seen a recent rise in class actions involving claims based on the cost-of-insurance component of universal life insurance policies. Plaintiffs’ theories include contract, quasi-contract, consumer protection, and even elder abuse. Unlike term and whole life insurance, universal life policies are a hybrid of term life insurance and an investment account. For the life insurance component, the insurer charges a cost to cover the risk of the insured’s death (the cost of insurance or “COI”). The contract then gives the policyholder discretion to pay more than the cost of insurance; excess premiums accumulate with interest. Historically, individual life insurance has not been an obvious area for class actions. To represent a class, a plaintiff must demonstrate that the proposed class is sufficiently large to make joinder impractical (numerosity), that the representatives’ claims are similar to those of the putative class members (typicality), and that the representatives and their counsel are non-conflicted and motivated to represent all class members (adequacy). See Fed. R. Civ. P. 23(a). If the class seeks money damages, the named plaintiffs must also prove that legal or factual questions that will drive the resolution can be answered with evidence common to all class members, that resolving those common questions will predominate over questions affecting individual members, and that a class action is superior to other methods for resolving the controversy. See Fed. R. Civ. P. 23(b)(3). Recently, plaintiffs have convinced courts that claims arising from cost-of-insurance changes in universal life insurance policies are appropriate for class treatment because they involve form contracts and life insurance companies generally make decisions on a uniform basis. In December, the Central District of California certified nationwide and California classes in a COI action against Transamerica Life Insurance Company. Feller v, Transamerica Life Ins. Co., No. 2:16-cv-01378, 2017 WL 6496803 (C.D. Cal. Dec. 11, 2017). The Feller plaintiffs challenge Transamerica’s 2015 increase in cost-of-insurance rates on universal life insurance policies issued between 1981 and 2003. They claim Transamerica improperly raised the COI on these policies to recoup past losses and induce “shock lapses” among elderly policyholders. They asserted claims for breach of contract and injunctive relief, on behalf of a national class of policyholders, and additional claims, including elder abuse, on behalf of California and California senior subclasses. The Feller plaintiffs won certification of all three proposed classes. The court found commonality, predominance, and superiority satisfied because plaintiffs’ claims involve form language and turn on the “common course of Transamerica’s alleged breach in increasing” the cost of insurances. The court rejected Transamerica’s arguments that it should interpret the policies subjectively and differently under the laws of the fifty states, finding breach of contract law did not vary greatly across the country, and ambiguity was resolvable through common methods of proof. The court also found the proposed class definitions ascertainable, with objective characteristics allowing prospective class members to self-identify using Transamerica’s own business records. The John Hancock Life Insurance Company is also facing cost-of-insurance class actions. The most advanced is Larson v. John Hancock Life Insurance Company, a nationwide class action pending in California Superior Court involving breach of contract claims related to a single policy form. Larson, No. RG16 813803, slip op. at 6 (Cal. Super. Mar. 23, 2017). (Twenty-two other policy forms are at issue in another action, 37 Besen Parkway, No. 15-cv-9924 (S.D.N.Y.).) The Hancock class actions allege not only an illegal increase, but also that Hancock failed to review and decrease cost-of-insurance, as required by the contract. The court certified a nationwide class. As in Feller, the Larson court found that the policies’ form nature and the lack of material difference in state law regarding breach of contract made a nationwide class superior and manageable. The court rejected Hancock’s arguments that state law variations regarding extrinsic evidence undermined commonality and that varying statute-of-limitations defenses and related doctrines would swamp common issues, and found that could be calculated systematically. The parties reached a nearly $60 million settlement. The Besen Park action also has a pending settlement. Recent Supreme Court precedent may provide grounds to dismiss claims where a defendant has no connection with the forum as to the particular plaintiff. In Bristol-Myers Squibb Co. v. Superior Court of California, 137 S. Ct. 1773 (2017) (BMS), the Court held that the fact that some plaintiffs could bring claims against the defendant in a specific forum did not support personal jurisdiction over the claims of other plaintiffs insufficiently connected to the forum. In Wenokur v. AXA Equitable Life Insurance Company, the Arizona district court granted AXA’s motion to transfer venue to the Southern District of New York, in part because the Arizona court lacked personal jurisdiction over the claims of some putative class members and could not certify a nationwide class. 2017 WL 4357916, at *4 (D. Ariz. Oct. 2, 2017). The Feller court though, rejected Transamerica’s argument that, under BMS, the California court lacked personal jurisdiction over the claims of non-California residents. Feller, 2017 WL 6496803, at *16. Defendants should also consider whether state-court actions can (or should) be removed to federal court. When related suits are pending in different states, state courts are limited to retaining or dismissing their own actions; federal courts, however, can transfer the litigation to a sister court, as the Arizona court did in Wenokur. Federal-court defendants may also benefit from federal multidistrict litigation, which permits consolidation of litigation throughout the country in a single forum. Besen Parkway’s class-certification motion should remind insurers to think about all cases, all the time. The Besen Parkway plaintiffs’ class certification motion relied heavily on the certification of a “virtually identical class case against Hancock” in Larson. They also used Hancock’s litigation conduct in Larson to support certification in Besen Parkway, arguing that Hancock had treated its contract as a form document in Larson, and suggested there that the Besen Parkway action would be a superior method of adjudicating the Besen Parkway insureds’ claims. See Besen Parkway, Doc. 122. When reviewing rates and making changes, insurers should carefully review their policies and document their actions. As Larson demonstrates, even an alleged failure to reduce the cost of insurance can support class allegations. Policies should specify the permissible grounds and methods of cost-of-insurance modifications. Insurers should vet any statements on cost-of-insurance decisions. See, e.g., In re Lincoln National COI Litigation, 269 F. Supp. 3d 622, 633-34 (E.D. Pa. 2017) (denying motion to dismiss, in part based on press releases and comments by the defendant’s president). Cost of insurance, and insurers’ decision to increase (or not decrease) monthly deductions, is likely to continue to be a focus for class actions. Careful policy review and actions can minimize insurers’ exposure to suit and potentially avoid costly litigation and settlements. We know that not all NAMWOLF Law Firm Members have full-time marketing professionals at their disposal. The purpose of this committee is for seasoned marketing professionals to share insights and best practices with lawyers who are interested in taking their firm’s marketing to the next level. Our goal is to assist NAMWOLF Law Firm Members in generating additional revenue, profits, and clients by sharing unique experiences and advice. 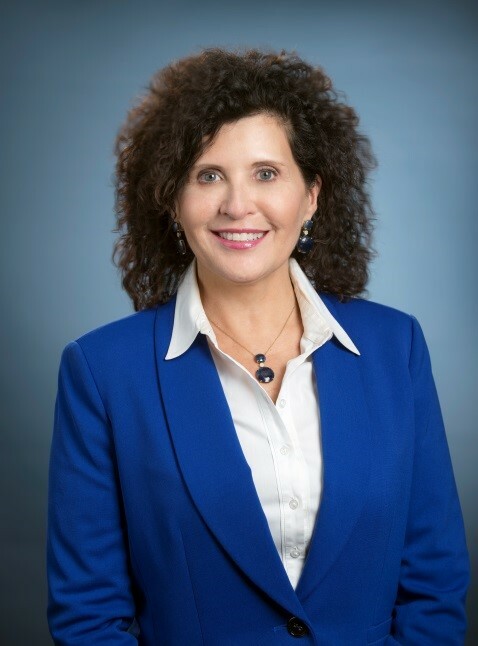 The Marketing Best Practices (MBP) Committee is excited to announce that Practice Growth & Marketing Consultant, Lynn Fasi, will be our guest speaker at the NAMWOLF Annual Meeting. Lynn will present Unlocking the Secrets of Communication: How to read other people, focusing on key elements to improve your communication skills, including how to reinforce or undermine your verbal message with body language, read hands and feet, and foster multi-generational communication. Lynn will also cover the 7%-38%-55% Communications Rule and differences in the ways men and women communicate. 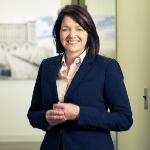 Lynn brings 25 years of extensive experience working with top law firms, CPA firms and professional services companies to help them develop growth strategies to achieve their goals. 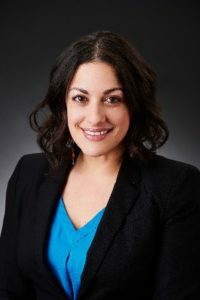 She has worked in-house as a Growth & Marketing Leader at a variety of firms, ranging from boutique firms to AmLaw 100 firms with over 500 attorneys and multiple offices across the nation. So if you need to figure out if a witness is telling the truth, or just brush up on your poker skills, join Lynn on Friday, Sept. 28, from 4:05-5:05 p.m. for a presentation that will leave you with a winning hand.